Nürburgring is a name that evokes strong feelings in any motorsports aficionado and a place where racing history has been made and re-written time and again. It also is the location where the European model of the new Chevrolet Corvette Stingray coupe is currently being tested, a few months prior to the start of sales in Europe. 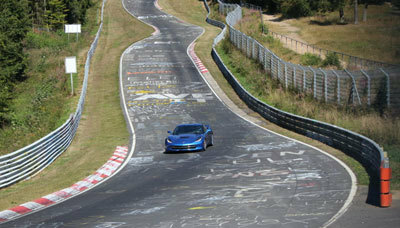 "Nürburgring is renowned for its demanding race track and it is perfectly suited for our purpose, which is to fine-tune the ride and handling characteristics of the European Corvette Stingray," said Jim Mero, vehicle dynamics engineer at General Motors. "We are paying particular attention to the suspension set-up and the steering at Nürburgring. European roads are quite distinct and different from those in the U.S., and so are driving habits." 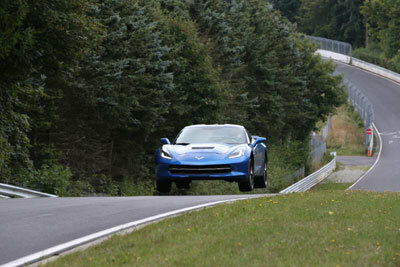 Chevrolet's technical experts are currently assessing two Corvette Stingrays in Europe, both of which are driven on a wide variety of roads. The testing procedures are part of the GM standard quality control program which is conducted for each new Chevrolet model before it goes on sale in Europe.